The mind body connection to fibromyalgia 'symptom and pain management' is crucial. When living with a chronic illness, it is not about mind over matter. No, I like to say "It is about the mind and body working together" It is learning how to use mind body conditioning. It doesn't happen overnight, but it IS the ESSENTIAL first step. Remember, our bodies are great servants but terrible masters. If we are going to be successful at living smarter with fibromyalgia, we cannot allow the body to dictate to us. We cannot afford to be controlled by the waxing and waning of every symptom. Mind Body connection techniques allow us to have greater control and be proactive rather than reactive. Hey, I surely get it myself, living with symptoms and severe chronic migraine since the age of 9, and now at 50, I truly believe in and ascribe to everything we use to increase quality of life, without false cures or quick fixes!! How one person operates their mind body connection can be vastly different from how another person operates their mind and body. This became even more clear to me when I flew across the country over ten years ago to attend three weeks of inpatient treatment for chronic fibromyalgia pain. I had been so focused on the body as both a patient and practitioner that I had never given enough thought to the mind body connection. I had not experienced it personally. And yet, I always knew there was something missing. I thought many times that my faith and spiritual life were just not strong enough. If I could just get closer to God, trust Him even more. Yet, I found that everything that supports us in conditioning the mind, body, and spirit is a process. We must keep working at it. I didn’t "get it" right away. And my pain was still high, drugs were still not an option, and so I knew that I had to become even better at thinking outside of the box. I continued to do the things that worked, and then started developing a better strategy that included taking more personal responsibility and utilizing more relaxation techniques. The key however is practicing these BEFORE and not while we are in stressful situations. For instance, trying to meditate while under severe stress just doesn't work and I don't recommend it. During my 3-weeks as an inpatient, I was shown a video, "The MINDBODY Prescription" about Dr. John Sarno’s work in the area of mind body connection. This also led me to a book, "Freedom from Fibromyalgia" by Dr. Nancy Selfridge and Franklynn Peterson. Her book really hit home with me since she had severe fibromyalgia and had a lifelong love of running like myself. However, I do not view this as a cure, I just find it helpful in the mind/body connection. It was through her that I came to understand the key role that mind body connection played in a workable fibromyalgia protocol. I particularly recommend that you read Chapters 6, 7, and 8 where she discusses meditation, journaling, self-talk, and visualization; all very powerful tools in managing our mind body connection to fibromyalgia. The discoveries at the cellular level of our bodies in the last twenty years or so have been truly remarkable and opened our eyes to a new model of the mind body connection. The old model of our brain sitting atop the rest of our body and controlling it through a system of nerve impulses has gone by the wayside. Once you've read the Mind Body Science page, you will get some understanding of how our emotions and traumas, both current and past, can play havoc with our pain experience; and you will see that through "conscious intention" we can mediate that process and intervene in the symptoms of fibromyalgia. In fact, we can reverse the actual physical changes that are caused when our negative emotions affect the "chemical messengers" that I talk about on the Mindbody Science page. Click on this link "Intentional Intervention Can Reverse The Effects Of Negative Memories". In this section on the Mindbody Science page you can read about research done with baby monkeys that proved this. It is pretty remarkable! For those of you who have a scientific interest or technical bent, I recommend you read “The Molecules of Emotion” by Candace Pert, PhD, a brilliant, groundbreaking lab (bench) scientist. She explains the science behind our new model of the mind body connection. NOTE: Each of these is also a link to a more detailed discussion on a separate page. This is not just about interaction, it’s about PROACTION. If you are here, then you are ready for greater healing, on whatever level is possible for YOU. I encourage a different way of thinking. I teach and practice a mind body connection approach that is unique and workable, yet it must be experienced individually. I am more passionate every day that I get to put this into action with people that I work with. It truly works, not as a cure, but as a step by step approach to healing. First of all, we fibro sufferers have got to accept that there’s no “quick fix” and no cure at this time. Also, in my experience, non-fibro people (including many doctors) don’t “get it” when it comes to fibromyalgia. Even those people who want to be supportive can’t imagine the terrible price extracted by the chronic pain, the feeling of being “defective”, and the loss of hope. After years of trying to exercise with many different Personal Trainers, I realized they didn’t “get it” either, though many really wanted and tried to help. I realized the fibro community needed a Personal Trainer who suffered from severe fibro who could develop an exercise routine tailored to us; so, I studied extensively and became nationally certified with ACE and continued developing not only fibro safe workouts but safer ways to adapt to daily activities of living. My point is that if what you are doing isn’t working, you need to take control and do whatever is required to move to a better place in your struggle with fibro. In other words you have to take personal responsibility for managing your illness. One place to begin is to start “thinking outside the box”. I call this breaking down walls. You must do what’s required to keep your recovery moving forward; no one else will. 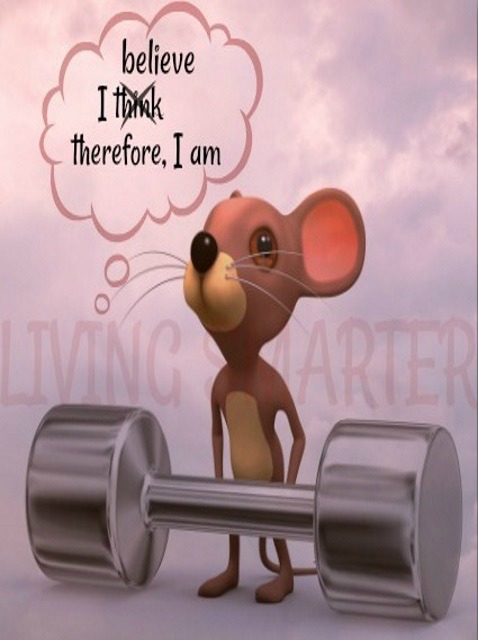 By-the-way, thinking outside the box often leads us to try things that are not intuitive to a person suffering with the chronic pain of fibro. Just over ten years ago, while in my late 30's, the fibro symptoms were especially severe, I felt I was “stuck”. The pain I experienced from what we call “the activities of daily living” (ADLs) had caused me to start fearing the exercise that I was used to engaging in from a young age; that was intuitive. However, I had hit a wall in my efforts to treat my fibro symptoms. Also, because I have severe MCS/CFS/ME, I had the added challenge of a compromised immune system. I needed to better condition my body, but without the proper exercise and strength training, I was de-conditioning it. I then had a non-intuitive, out of the box thought. What if I re-evaluated everything many of us 'buy into' regarding fibromyalgia and exercise? That is when I set out and became a nationally certified personal trainer, and worked diligently to work more specifically with fibromyalgia. Not an easy task I will say. Though it didn’t happen overnight, I was able to build on small successes and enjoy longer periods in reduction of both symptoms and pain. The exercises I've created are done in a very controlled situation with a lot of thought about form for instance; however, ADLs (activities of daily living) involve a lot of stopping, starting, bending, reaching, etc. where we are not at all focused on our form. I often hear fibro sufferers ask how they can exercise when they can't even clean their house. The two activities are very different. This concept is of utmost importance and has created misinformation in regards to fibromyalgia and exercise. Safe and effective exercise has been well verified for fibromyalgia and its co-conditions. The key here is to be specific for fibromyalgia. Please follow on the fitness page if you like. Fibro Fit People, this is what I do both living with and helping others with fibromyalgia. Greater levels of health will never be handed to us, we have to create them. If what we are doing is not working, we have to do something different. Talking and dwelling on symptoms becomes a sure way of perpetuating the illness. Symptom talk has its place, and we MUST keep it in its place and focus on greater levels of healing. When a symptom arises, I focus on what might be the root cause that needs to be addressed in the most noninvasive way possible. Maybe I need more nutrients, more movement, less toxic environment, mind-body tools, lifestyle changes, etc. Greater changes started to occur when I challenged the symptoms and took action. fit in the above success? I avoided symptom talk and even symptom thoughts. I focused on any (even small) success. I visualized the Outcome - the best version of me! These are actual changes that I made. I practiced them daily until they were practically second nature. However, I found that as I had success, I would sometimes enjoy my success too much. Elation would cause me to forget briefly how I got there, and pain and other symptoms would be around the corner. Then I would rededicate myself to these principles and begin to progress once more. I guess that's human nature, but fibro will kick you in the backside and remind you that Consistency is your greatest friend! We must use focus, determination, and going to a place in our minds that 'allows' us to break down walls, turn corners. Not in an injurious way, but in a way that challenges and heals on whatever level is possible for each of us. For example, what is the best natural anti-depressant? Answer: Pick One: prayer, meditation, sun, movement, nature, animals, gratitude, purpose, goals, holistic lifestyle, etc. So many things to support happiness and joy, every day! There's no time for depression when using these tools. I keep a similar picture to this one on my refrigerator. See, we cannot control our thoughts at all times; we are human. However, if we have a belief system set in place, then our thoughts will follow MORE often. Belief in one's self, in mastery over our illness, and in our future will lead the way. 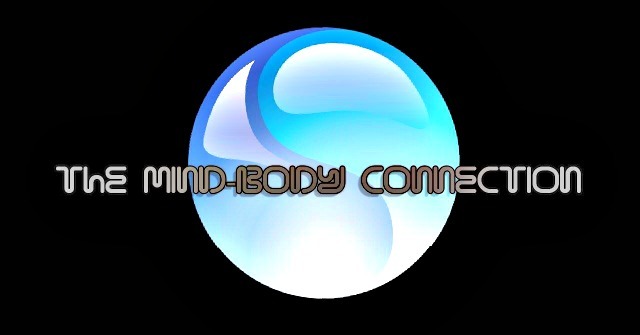 Mind body connection conditioning takes time, just like with nutrition, fitness, etc. We have to be consistent and proactive in overcoming any negative belief systems. When we change our mind and our perspective, we change; real change occurs from the inside out. Don't force anything for now, just BE with wherever you are, yet be willing to believe in something greater. Don't waste time; I know I did. I had to work on the "Negative Nelly" that had lived within me for many years. I had to realize that she was no longer justified and that I was going to change my mindset. Mind body connection conditioning can and will have a dramatic effect on your recovery. It is an ESSENTIAL first step in my recovery protocol.